Rolex launched the Datejust Turn-O-Graph in 1953. Although the Turn-O-Graph boasts a number of ‘firsts’ and innovations to its name, it surprisingly isn’t as popular as other Rolex sports watches. In the late 1950s, the Thunderbird squadron of the U.S. Airforce adopted the Rolex Turn-O-Graph as their official watch, thus forever cementing the “Thunderbird” nickname to this particular collection. After reissuing the discontinued Datejust Turn-O-Graph in the early 2000s, the company finally shelved it again in 2011. 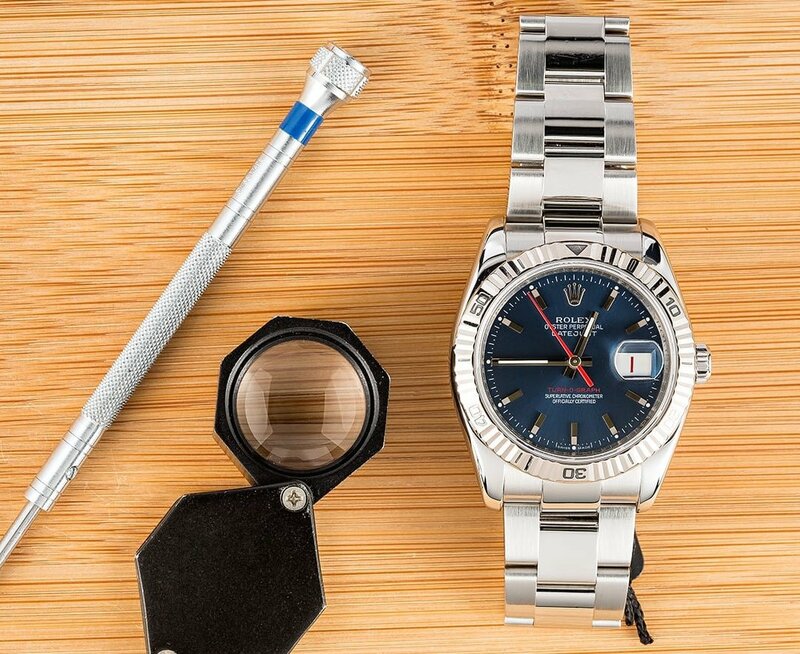 While the Turn-O-Graph Thunderbird may not have enjoyed the same success as the Submariner, GMT-Master, or Daytona, in our opinion it’s still a very cool Rolex tool watch that deserves a second look. So with that, let’s delve into three different models of the Rolex Turn-O-Graph to prove our point. 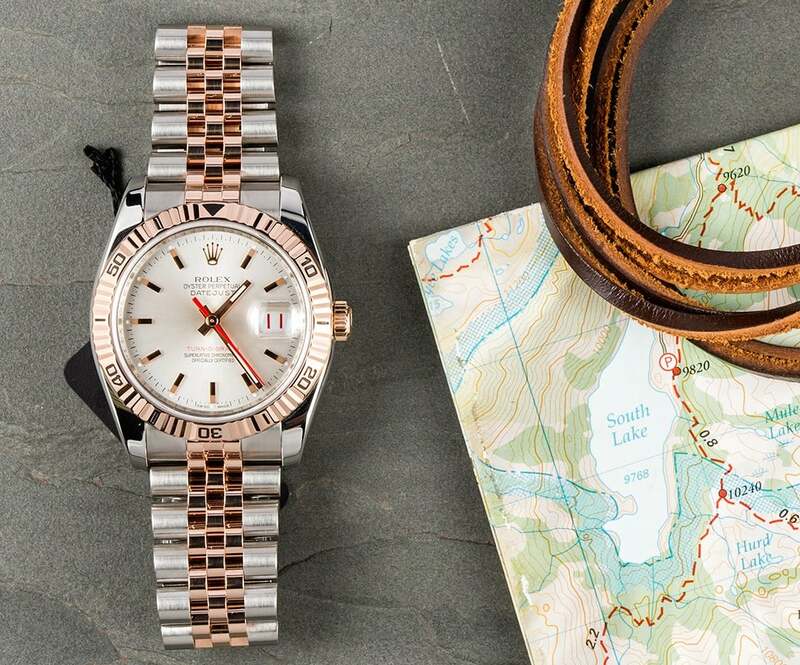 Now here’s a watch that has everything you want in a Rolex sports watch. Crafted in stainless steel, featuring a blue dial with red accents, and a rotating engraved bezel, this Thunderbird not only looks fantastic but is robust enough to also keep up with an active lifestyle. It’s interesting to note that the Datejust Thunderbird was the first series-produced Rolex watch to sport a rotating bezel. The 36mm case size is a perfect alternative for those looking for something smaller than Rolex’s other sport watches. For a more luxurious version of the Rolex Thunderbird, a two-tone Rolex Datejust fits the bill. In fact, the Turn-O-Graph was the brand’s first tool watch available in Rolesor with the vintage Rolex 6202. This Thunderbird ref. 116263 carries all the hallmarks of the model from the distinct bezel and the red seconds hand to the red and black ‘roulette’ date wheel. Yet, the 18k yellow gold center links on the Oyster bracelet and matching yellow gold bezel and screw-down crown adds a dressy touch to the timepiece. An even dressier version of the Thunderbird due to its Jubilee bracelet and use of 18k Everose pink gold, the Turn-O-Graph ref. 116261 proudly shows off its classic Datejust characteristics. The white dial of the rose gold Rolesor Thunderbird is nicely accented with rose gold baton hour markers and hands. Furthermore, the intricate construction of the Jubilee bracelet pairs nicely with the fluted rotating bezel. Again, the 36mm size keeps it classy and as a result, the Rolex 116261 is just as comfortable in the boardroom as it is on the golf course. As with all the other modern Tun-O-Graphs, the ref. 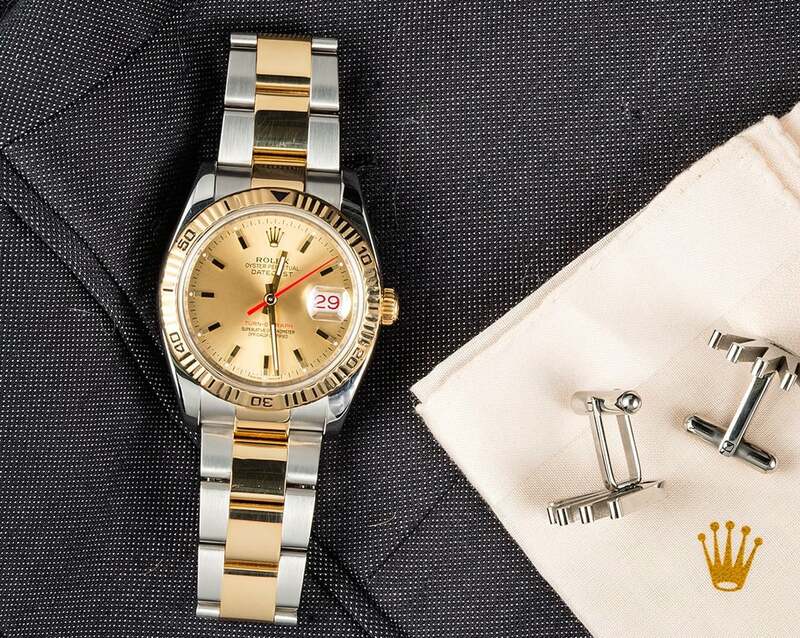 116261 is powered by the famed Rolex Caliber 3135 automatic movement. Rather than having to pick between either a dress watch or a sports watch, the Turn-O-Graph Thunderbird lives right in the center of both spaces. 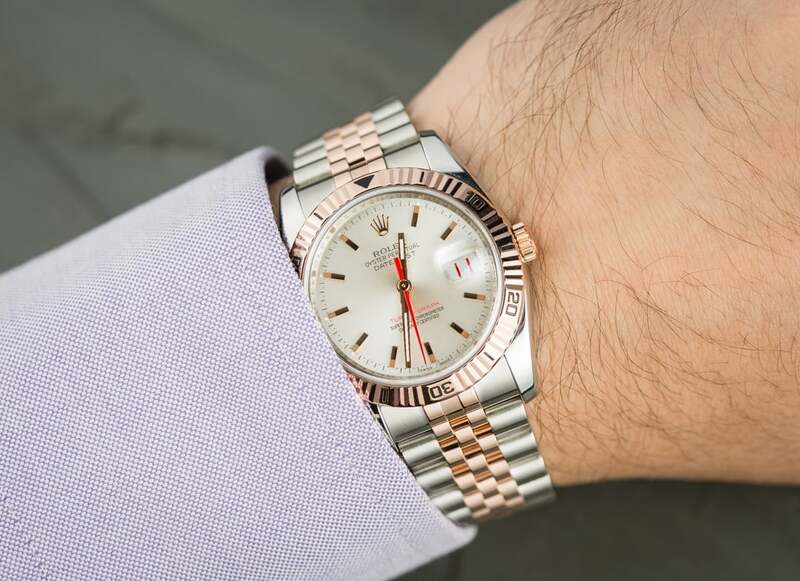 Therefore, this underrated Rolex model is one of the brand’s most versatile and easy to wear. Whether you opt for a full stainless steel version or a more precious two-tone gold, sporting a Rolex Thunderbird will always look great. And our bets are on the Thunderbird’s popularity rising among Rolex collectors in the very near future.